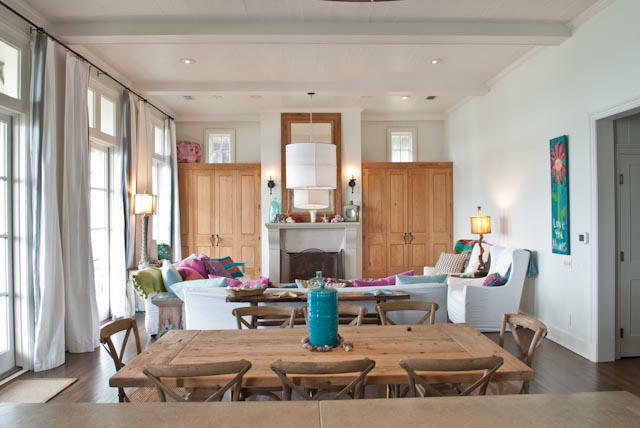 Originally developed on land that was part of the neighboring Inlet Beach, the master-planned community of Rosemary Beach effectively uses New Urbanism concepts to create a beautifully planned layout that connects living spaces and amenities with a radiating network of brick-covered streets, alleyways, lanes, and boardwalks. 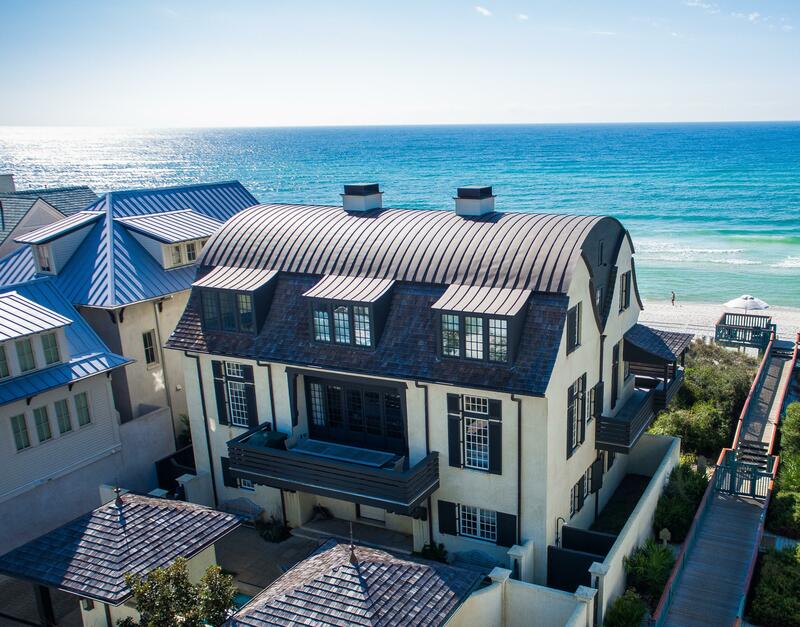 Bounded by Kingston Road to the north, Winston Lane to the east, East Water Street and Rosemary Avenue to the south, and West Water Street to the west, Rosemary Beach was named after the wild rosemary herb that can be found throughout the area. 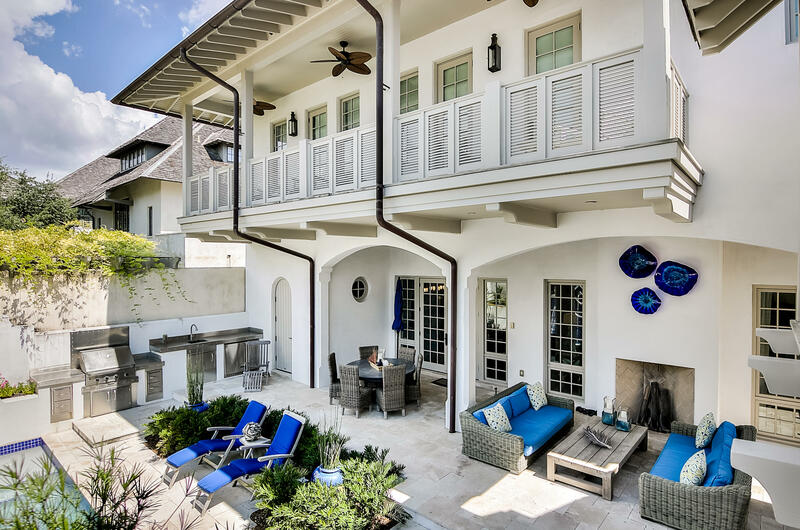 This 107-acre development blends a traditional European-style village with an American resort town to create its own distinctive look. 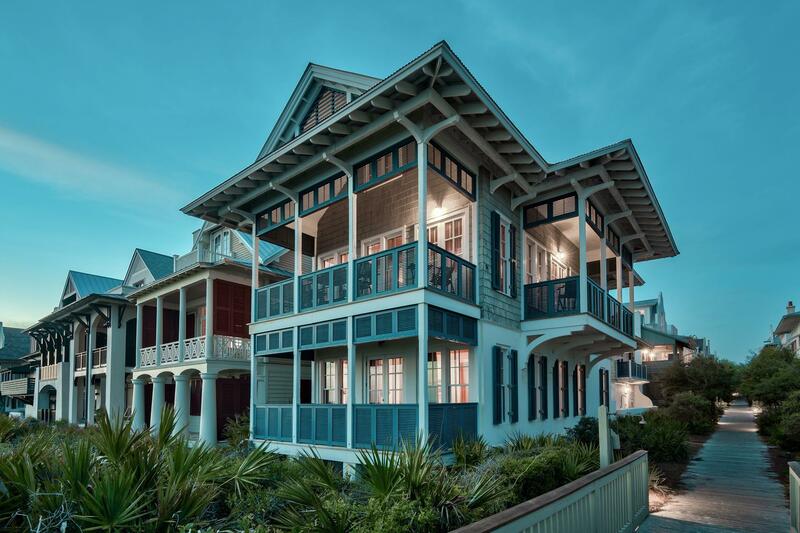 Brimming with old-world charm, it integrates well with the waterfront landscape. 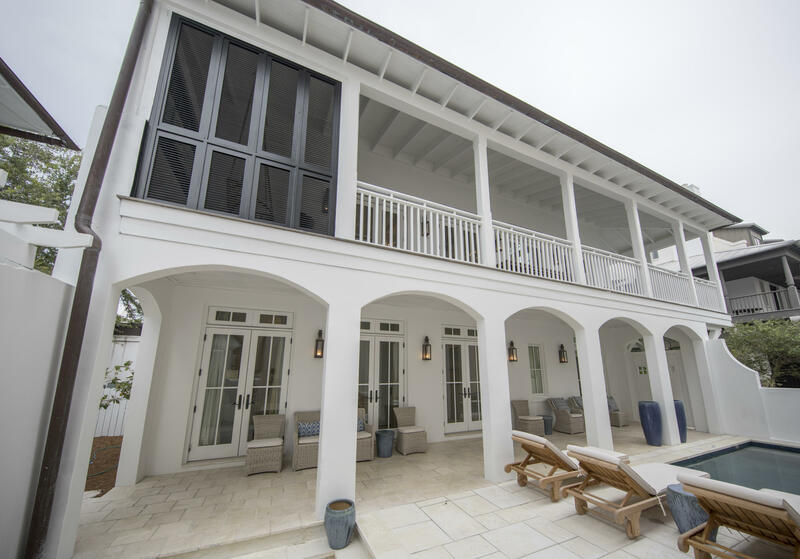 Homes are uniquely designed to take advantage of the sea breezes and spectacular views, incorporating wide porches and gated courtyards, as well as arched doorways and custom woodwork with intricate detailing. 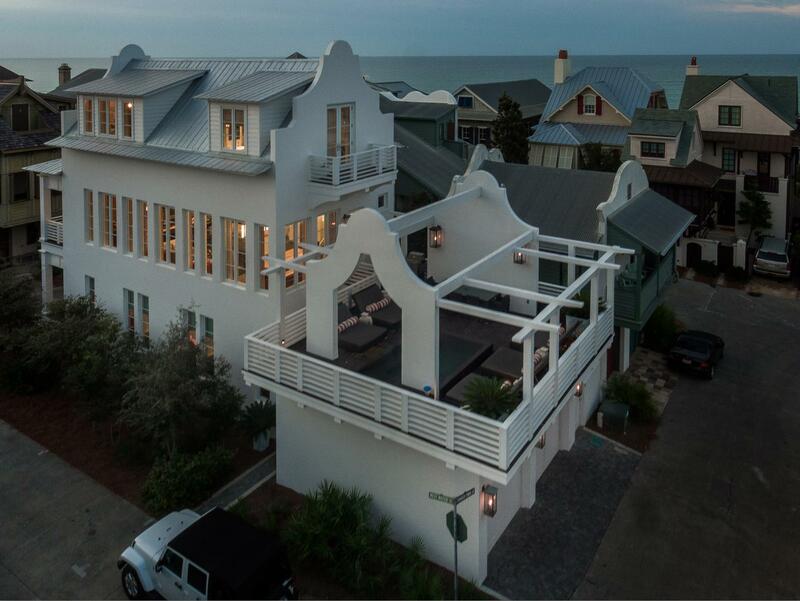 Homes are arranged around walking paths, with the facade facing the wooden boardwalks and the garages located at the back, facing the streets. 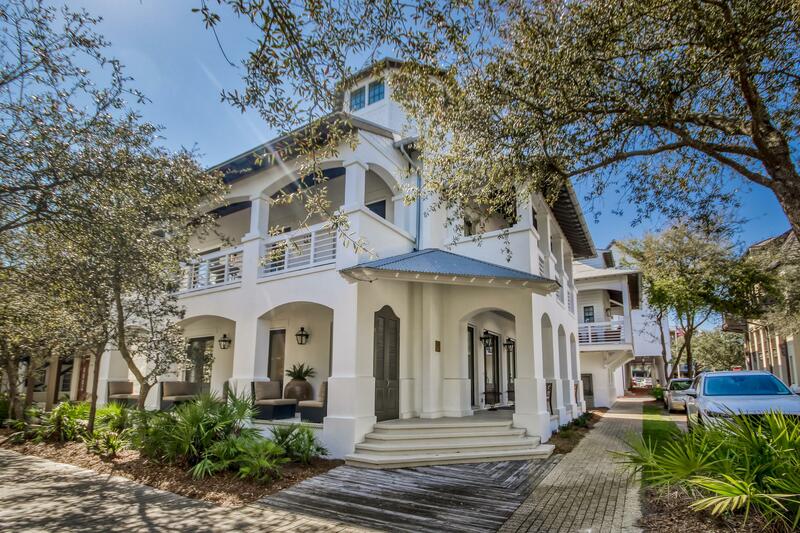 The boardwalks all lead directly to the beaches, and amenities such as swimming pools, fitness center racquet club, parks and the town center are all a short walk away. 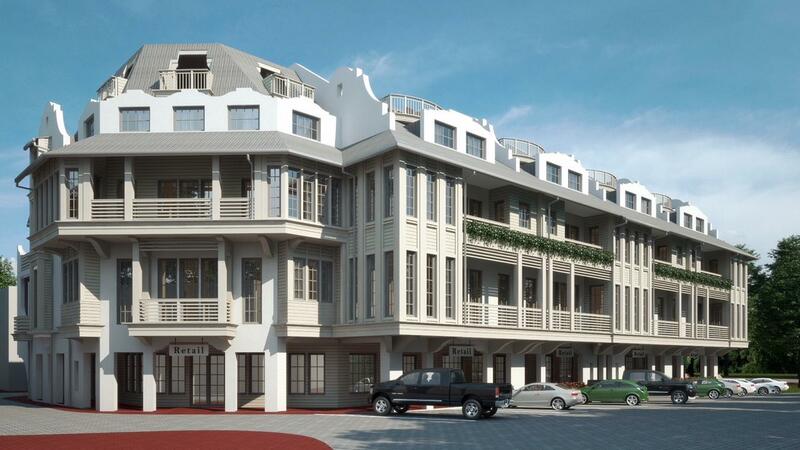 Rosemary Beach’s Town Center– The retail and lifestyle district surrounded by Barret Square and bisected by Scenic Highway 30A. A strip of green at the center portion serves as a park, with a fountain, bike paths, and benches. 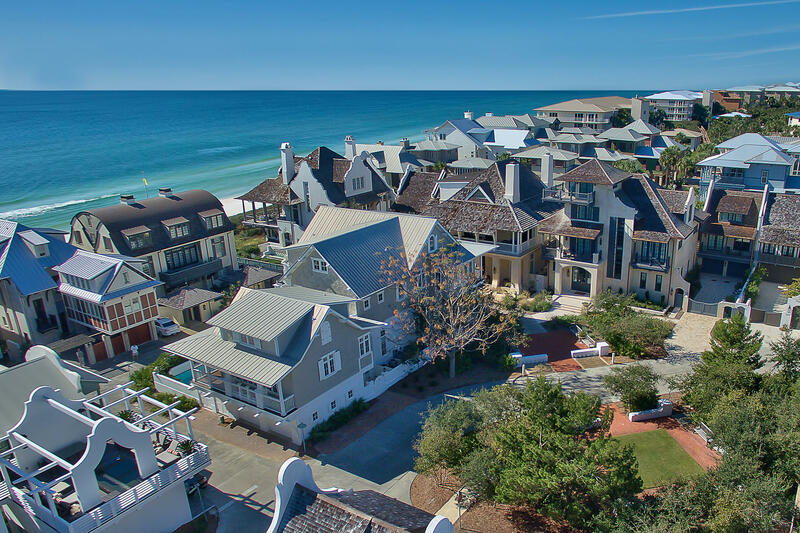 A variety of shops encircle this area, where you can find books, clothing, gifts, jewelry, toys, and one-of-a-kind specialty shops like the Bamboo Bicycle Company, The Hidden Lantern Bookstore & Gallery, and Rosemary Beach Trading Company. If you’re hungry, you’ll also find enough restaurants and cafes here offering plenty of choice cuisine, like Amavida Coffee & Tea, Cowgirl Kitchen, Edward’s Fine Food & Wine, Havana Beach Bar & Grill, La Crema – Tapas & Chocolate, Restaurant Paradis, The Summer Kitchen Cafe and its sister dining spot SK2, and Wild Olives. 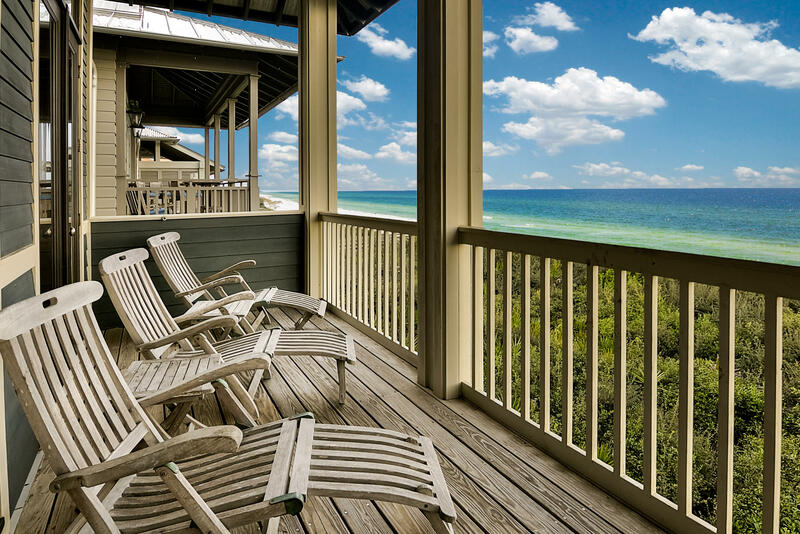 Rosemary Beach hotels – The 11-room European-style Rosemary Beach Inn, which was formerly called the Pensione, and The Pearl, a luxury boutique hotel with stylish accommodations, are located at the southern end of Main Street.